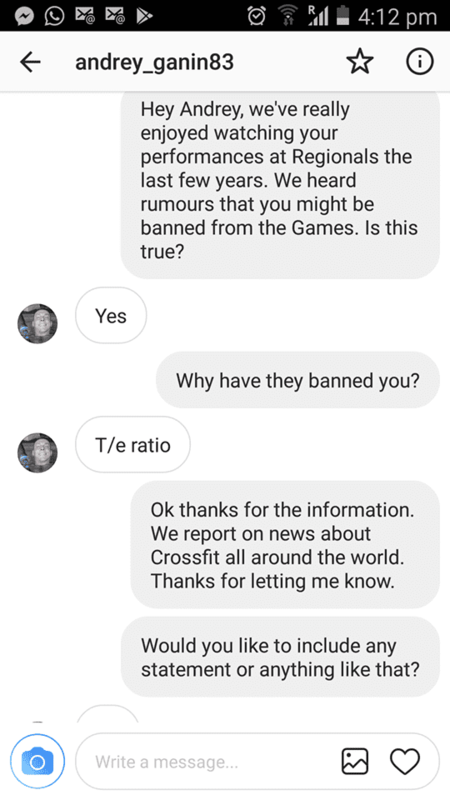 BREAKING NEWS – Andrey Ganin Banned From 2018 CrossFit Games! The Russian powerhouse will not be competing in Madison this year. 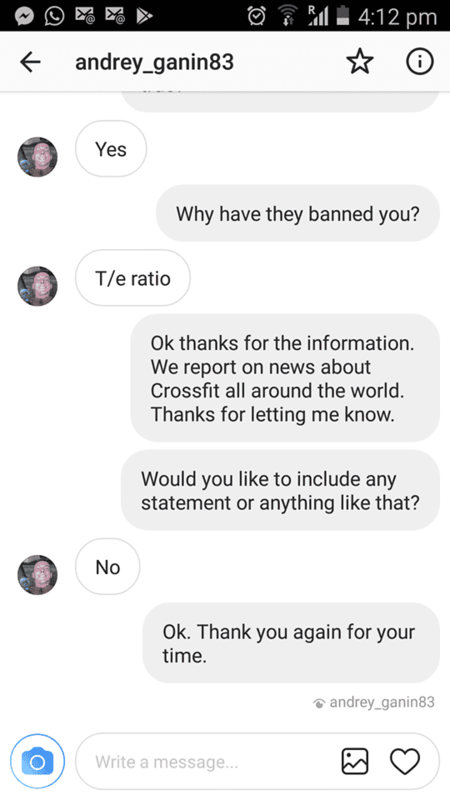 Andrey Ganin has been banned from the 2018 CrossFit Games. BOXROX spoke with him directly to get the information about the rumours that he may not be competing in Madison. 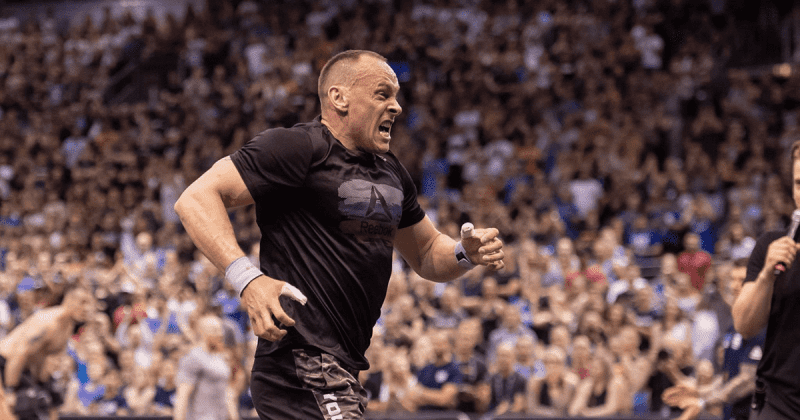 Andrey Ganin is a regular at The Meridian Regionals, excelling in heavy or grueling events. This year he was competing at The Europe Regionals. So what does T/e Ratio mean? “The T/E ratio is the proportion of Testosterone (T) to Epitestosterone (E) detected in the urine. The human body creates testosterone and its precursors naturally. Therefore, when testing for anabolic steroid abuse, it is necessary to distinguish between naturally produced testosterone and that which is the result of taking drugs or supplements. On average, a normal T/E ratio is 4 – 1, with some variation possible on either side. Taking anabolic steroids and related supplements suppresses natural steroid production. In abusers, the concentration of testosterone in the urine is expected to be higher than normal owing to direct ingestion of the drug. However, epitestosteronelevels will remain suppressed. Therefore, a urinalysis that reveals lowered epitestosterone levels in concert with abnormally high testosterone levels is indicative of anabolic steroid use.